is a researcher at the University of Naples “L’Orientale"
Archaeology has long since identified modern-day Swat (North-West Pakistan) with ancient Uḍḍiyāna, known in the past as one of the most sacred lands of Buddhism. The landscape of Swat, indeed, still bears conspicuous traces of this. The profusion and splendour of monuments, which one can still easily imagine based on the ruins, and the luxuriant beauty of the surrounding scenery provide eloquent evidence of the fascination this land held all over the ancient Buddhist world. However, archaeology also reveals that in Swat Buddhism was already on the wane before becoming irrevocably overshadowed by Islam. 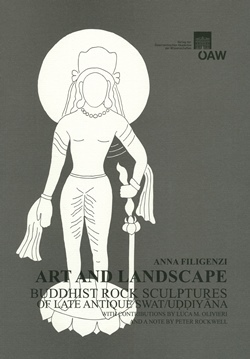 Against this background, an apparent anomaly is represented by the Buddhist rock sculptures that flourished in the country in the seventh to eighth centuries. Buddha and bodhisattva figures started populating numerous paths leading to Buddhist sacred areas that in most cases were already decayed if not abandoned. Due to their unusual features, poor preservation state and blurred cultural context, these sculptures have long remained almost ignored or at least underestimated. In fact, analytical study – based on nearly two hundred specimens documented over the years by the Italian Archaeological Mission in Pakistan – reveals that the artistic value and theoretical foundations of these sculptures are far more refined than we used to believe. Thus they partly fill a void in the history and, moreover, start reducing the distance between the Uḍḍiyāna of the legend and the Uḍḍiyāna of real life, where even long after the advent of Islam Tibetan pilgrims came in search of the holy homeland of Vajrayāna Buddhism and its apostles Indrabhūti and Padmasambhava.